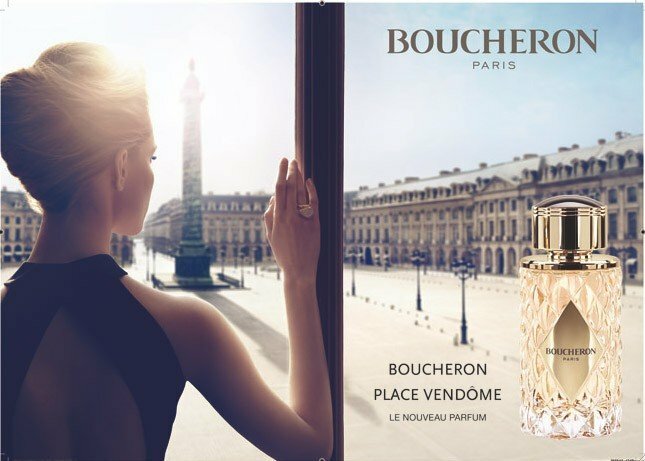 Place Vendôme (Eau de Parfum) is a popular perfume by Boucheron for women and was released in 2013. The scent is floral-sweet. It is being marketed by Inter Parfums. Top Notes: Pink Pepper, Orange Blossom, Rose, Tangerine. Heart Notes: Jasmine, Honey, Peony, Praline. I love these notes, especially the orange blossom, honey, praline, benzoin, and cedar. This is a beautiful fragrance that is slightly gourmand and extremely feminine throughout its evolution from top notes to base notes. The only complaint I have concerns performance. It performs more like a body spray than an eau de parfum. It is light and almost ethereal but delicious. I use at least six sprays anytime I wear it. It has mild projection and sillage, and longevity is poor. I get approximately three hours wear out of it, but I adore it for those three hours. If these notes appeal to you, then I highly recommend it. Just do not expect great performance. I do not think anyone would be offended by in an office setting, but it is a romantic type of fragrance, so one may wish to reserve it for after work. Given its lightness, I think it will work best in Spring and Summer. I think very cold weather would probably mute these notes, but I look forward to testing it in the cold weather this Winter. This is definitely a winner for Bucheron. If only it had greater projection, sillage, and longevity especially. The bottle is pretty and quite heavy in one's hand. The presentation is quite good compared to many of its contemporaries. Such a light, delicate scent to wear. Reminiscent of flowing, long, gauzy dresses and wide, straw-brimmed hats, tall grasses, and beautiful trees with wide arms full of green leaves towering above me, blue skies with patches of white breezy clouds and the air is warm. This is a light perfect perfume for the spring weather. The woods of cedar immediately burst through with roses and muted jasmine, while creamy pralines delicately mix with notes of honey. 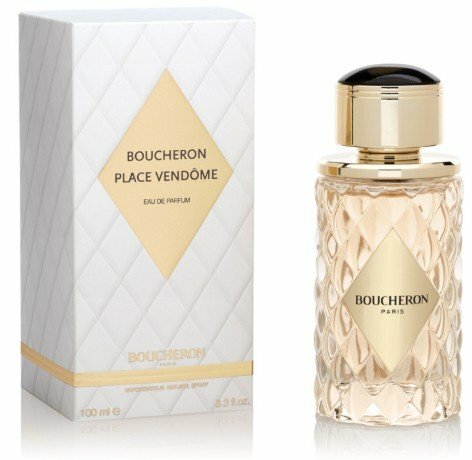 Vendome Boucheron seems classic in its projection, never overpowering, always ladylike, always subtle, ever gentle. I could see this a a wedding day perfume for a very young woman because of its lack of sexuality or flirtatiousness. Its simple. Its clean. Its elegant with a hint of pepper peeking through, ever so powdery at its dry down. The benzoin lends its hand to a creamy vanilla finish that sits and intermixes well with the woods as this perfume ends its run. A long time ago in a perfumed galaxy distant to ours, those bottles which were beautiful enough and a bit more ambitious than your average Joe, were lucky winners. They (i.e. their contents) could while away the hours snuggling up to an attractive lady's bosom, probably somewhere between Place Vendôme and Rue de la Paix. They were neither called mainstream nor niche perfumes, they were just "parfums". Today, most perfumes are anything but happy. In fact they are a miserable bunch. The root cause of their problems is of course the tin-pot notion that everyone should own several "modern" perfumes which means that the average perfume bottle (and its contents!) become suprisingly common. Upon smelling "Place Vendôme" I could spend hours bemoaning the loss of quality (and even lifestyle) this average scent is an example of - but this would be nearly as pointless as being unable to accept that flip-flops are not a suitable form of footwear for the office. Modern orange blossom-honey-jasmine-artificial-cedarwood-fragrances deserve our sympathy and should be hugged. I mean, it's our duty to feel sorry for them. Especially when they are called "Place Vendôme" and smell like "Place Partout" or "Passe Partout". Sweet but not too much! Strong but not to much!